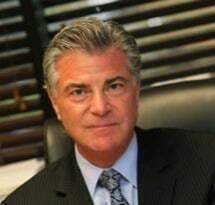 Lewis R. Shafer, Esq., handles family law matters with a supplementary focus on general civil law disputes. Lewis prides himself on legal help and counsel that is the right blend of tough and considerate. Our law firm represents individuals and advocates legal resolutions that benefit our clients and their families. We give each client an unwavering commitment to assist them in resolving their dispute in the most efficient manner possible. We realize that legal complications arise in your life when they are both unexpected and inconvenient. Our clients lead busy lives and meeting with divorce lawyers in Boca Raton is often another list item in a series of daily tasks. While you have many Boca Raton divorce law firms to choose from, our office accommodates the needs of family and civil law clients by offering convenient after-hours appointments on an as-needed basis.